Octo LNBs. 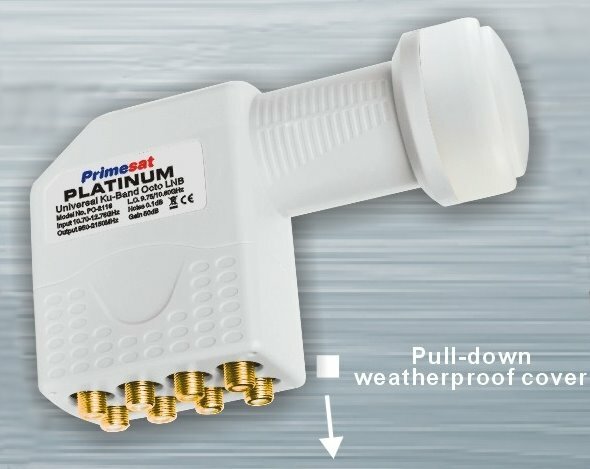 Primesat octo LNB, Sky octo LNB. 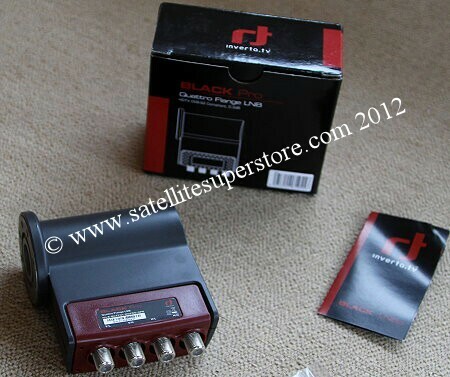 Satellite Superstore UK octo LNBs. Low prices. 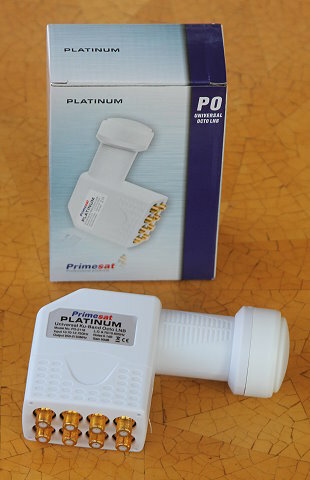 Primesat Platinum 0.1dB Octo LNB. 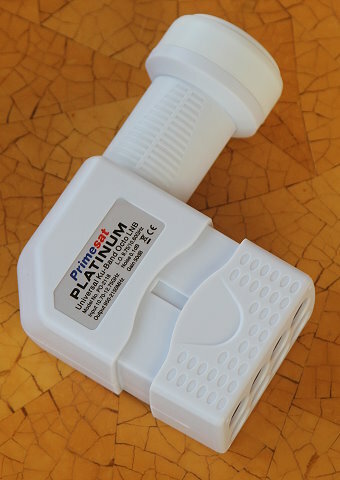 Primesat Platinum Octo 0.1dB LNB. for the Sky mini dish . 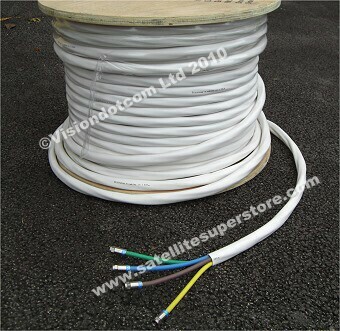 There is no manufacturer that makes an octo LNB with a c120 flange. 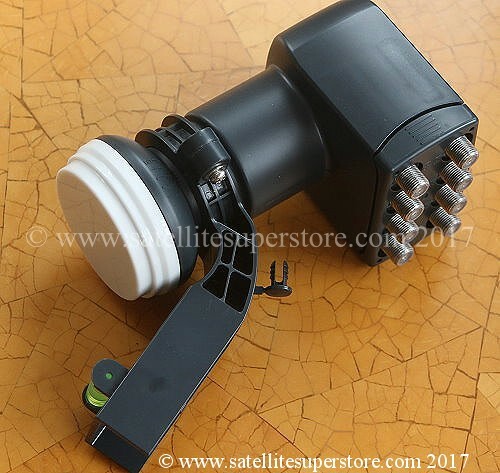 However, if you use a c120 flange quatro LNB and connect it to a multiswitch, you can have 8 outputs or more. 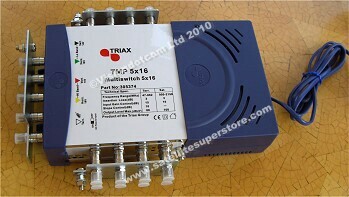 Multiswtches are available with up to 48 outputs although 8 or 12 outputs are more commonly ordered. A c120 quatro LNB bolts onto a feedhorn and then the 4 outputs connect to a multiswitch which provides all the outputs required. 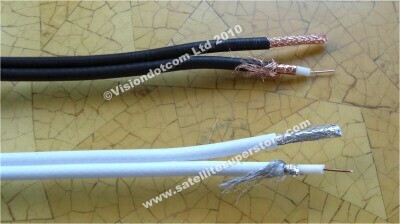 A quatro LNB supplies the signal to a multi switch in a multi room satellite point system. 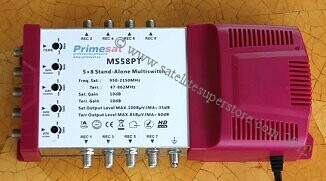 This can provide up to 32 outputs from one multiswith.